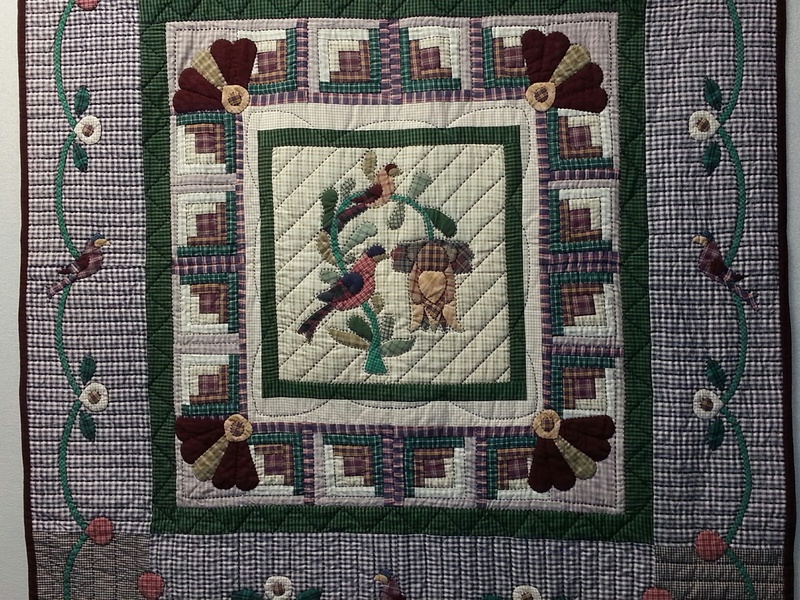 Years ago there was a craze for a period of time for quilters to create projects with plaids and homespuns. I too wanted to complete a project that incorporated both piecing and some of my favorite hand applique using these traditional fabrics. Plaids and homespuns are larger weave textiles and can be a challenge to work with because of the difficulty of keeping the small pieces from fraying Stripes and checked patterns in the fabric are also easily lost when the fabric is cut into tiny pieces, but I was not deterred. I then finished and quilted the project using Big Stitch techniques and black pearl cotton. Fractur Bird Plaids was drafted for my pattern company and soon became one of the most popular designs. Who knew that this simple self-challenge project could turn out to be so well loved by fellow quilters! An original design inspired by the Pennsylvania Dutch Fractur bird patterns.